The cello part for Strauss' Also sprach Zarathustra has been edited by Stephen Geber, who served as the principal cellist of the Cleveland Orchestra for 30 years, from 1973 until 2003. Geber's bowings, fingerings and other editorial markings have been added throughout the score. Composed in 1896, Also sprach Zarathustra is a tone poem by Richard Strauss inspired by Friedrich Nietzsche's philosophical treatise of the same name. The composer conducted its first performance on November 27, 1896 in Frankfurt. The opening of Strauss' Also sprach Zarathustra is one of the most recognizable musical excerpts in history, having been used in Stanley Kubrick's 1968 film 2001: A Space Odyssey. The music begins in the lowest depths of the orchestra, almost out of the range of human hearing. Trumpets then enter in fanfare-like unison based on perfect intervals. The fanfare is repeated three times, each increasing in intensity, before culminating in C major which, along with B major, is one of two tonal centers that the work pivots around. "I did not intend to write philosophical music or to portray in music Nietzsche’s great work. I wished to convey by means of music an idea of the development of the human race from its origin, through the various phases of its development, religious and scientific, up to Nietzsche’s idea of the superman. The whole symphonic poem is intended as a homage to Nietzsche’s genius, which found its greatest expression in his book Thus Spake Zarathustra." 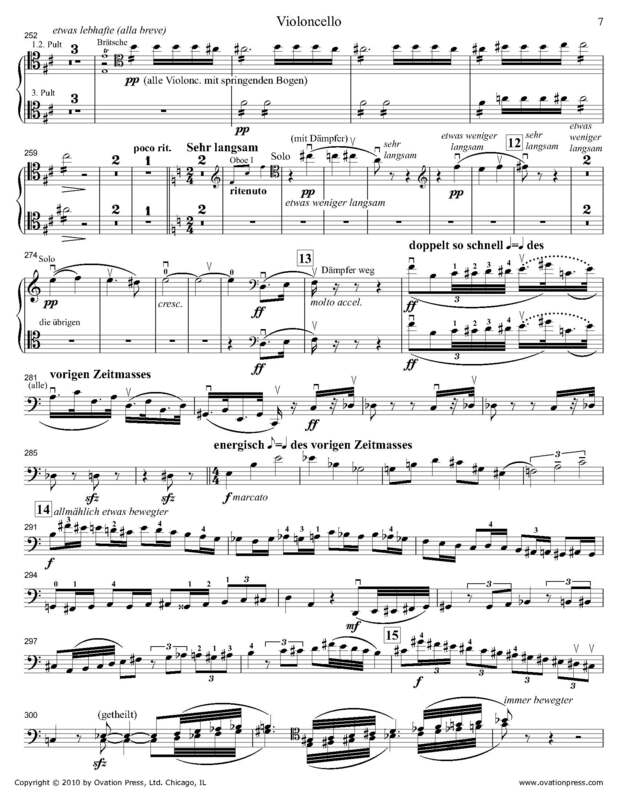 Download and print the score today to gain access to expertly edited Strauss Also sprach Zarathustra cello fingerings and bowings from Stephen Geber!